Tom Polo see you see through (totally transparent), 2018. Acrylic, Flashe and acrylic spray on canvas, 182 x 138cm. Courtesy: the artist and Roslyn Oxley9 Gallery, Paddington. 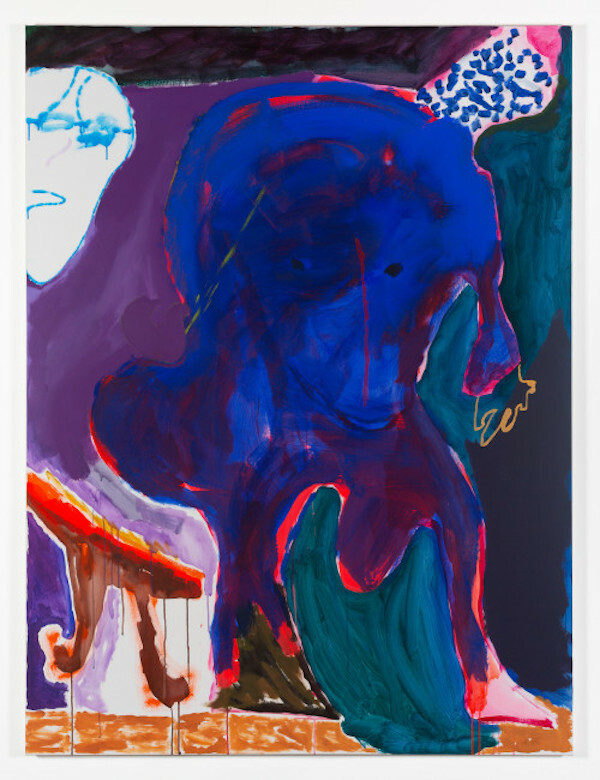 Roslyn Oxley9 Gallery presents Tom Polo’s first solo exhibition with the gallery – I still thought you were looking. Polo uses painting and painted environments to explore how conversation, doubt and gesture are embodied acts of portraiture. Frequently incorporating text and figurative elements, his works draw upon acute observations, absurdist encounters, personal histories and imagined personas. The ‘performing’ figures in I still thought you were looking, largely mirror the scale of the viewer, whilst the positioning of each painting encourages the audience to choreograph their own immersive experience within the gallery and the space of each stage. These encounters blur the line between the act of looking and being looked at; who is ‘actor’ and who is audience; the nuances of what is hidden and what is revealed.